Often, users might need something more from the inbuilt video players of their devices. This is not possible. However, there are various video players available on Play Store that make up for this shortcoming. 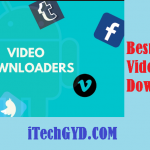 We have compiled a list of the top 10 best android video player apps for you. 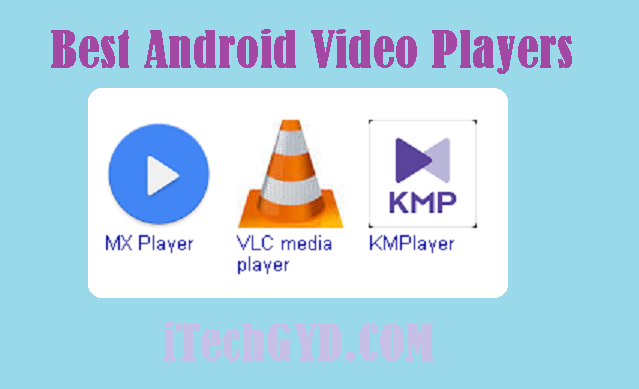 MX Player is one of the most used video players on Android devices. Developed by J2 Interactive, this video player has over 100 million downloads. It is an advanced video player with hardware acceleration. It is the first Android video player that supports multi-core decoding. It also offers subtitles for videos. You can easily zoom in videos by pinching the screen. There is a much-needed option for Kids Lock which lets you lock the phone while your kids are watching movies or videos on it so that they cannot make any calls or disturb other data in your phone. It is a completely free app but does contain ads. Another free video player is BS Player. It is offered by BS Player media and has over 10 million downloads. With a rating of 4.3, this app gives you the best media experience. It has playlist support and various playback modes. Furthermore, it also supports hardware acceleration which gives a better view and reduces battery consumption. With feature such as support for USB OTG, this video player is a must-have. VLC for Android is available in Beta version on Play Store. It is an app by Video Lab and has over 50 million downloads with a rating of 4.3 It is the best and the easiest open source app on the store. Just like the desktop version of VLC, this player also plays local videos and audio files along with network streams. It has support for multi-track audio and subtitles. Additionally, it supports a widget for audio control, headsets control and a complete audio media library. If you have loved VLC on your PC, this beta version of it is ideal for your phone too. It is another app by Inshot which currently has 1 million downloads on Play Store. However, it has the highest rating on this list of 4.8 as it supports all formats. It supports all formats such as MP4, MKV, 3GP, WMV, and TS etc. it also has a Private folder which keeps you videos safe. You can adjust subtitles too and even share your videos easily. There are added features of Night Mode, Quick Mode, and Playback Speed too. Video Player for Android is a video player by Android Player with a rating of 4.2 and has 10 million downloads till now. It claims to be the easiest video player in the market. It has a smarter algorithm which lets you have a smooth video watching experience. It can automatically detect videos on your SD card and play them. 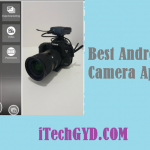 With support for all video formats and features like hardware decoding and smooth playback support, this app is an ultimate winner. Offered by Pandora TV, KM Player is an absolutely amazing video playing app with over 10 million downloads and a rating of 4.2 on Play Store. It has features like HD streaming and support for over 30 languages. It is optimized for subtitle control, playback speed, and favorite playlist. It supports all formats while being totally free of cost. QQ Player is a new video player which has been downloaded 5 million times till now. Offered by Unrated, this Video player allows you to play videos in all known formats. It has smart core technology which lets you enjoy your videos with smoother and better streaming. There are also options for plug-in subtitles and multiple audio tracks switching. Video Player Perfect by Video Player Labs claims to be the most powerful and beautiful video player for your Android device. With a high rating of 4.5, it has 1 million downloads so far. it uses hardware decoding which lets you have a good video streaming experience in even older and low-end phones. The video player automatically detects all video files on your internal and external storage. Furthermore, it supports all popular video and audio formats along with supporting autorotation and on screen lock. Bases on VLC style, this app is the best one to have on your phone. Offered by Movie Apps, AC3 is a great video player with over a million downloads to date. It supports all audio formats too and has graphics optimization for high fps. 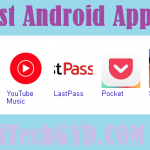 It automatically searches all files on your phone and lets you connect online videos to your phone. Using hardware decoding and hardware acceleration, this player provides the best video streaming experience on all new and old phones. Offered by Real Network, this player has been downloaded for over 10 million times. It is one of the best video players as it offers online search of YouTube and Bing as well. You can bookmark videos and even use voice common for searching. Furthermore, you can share your files easily on social media along with setting your favorite music as your ringtone. The player comes with headphones support and is available in 9 languages. The best part is that it comes with widgets that you can just keep on your home screen and control your videos and audio playing conveniently without having to open the app every time. 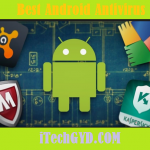 It supports all formats and is a choice for most users. These are few of the best video players out there. You can download any one of them without paying a single buck and have the best video streaming without any hassle. 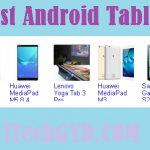 Keep visiting our website for more tech stuff!